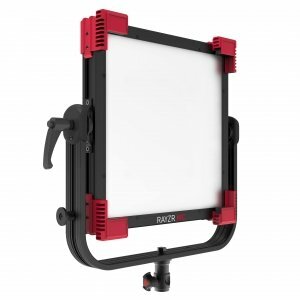 New from Fluotec at NAB was the CineLight 120 Quad. 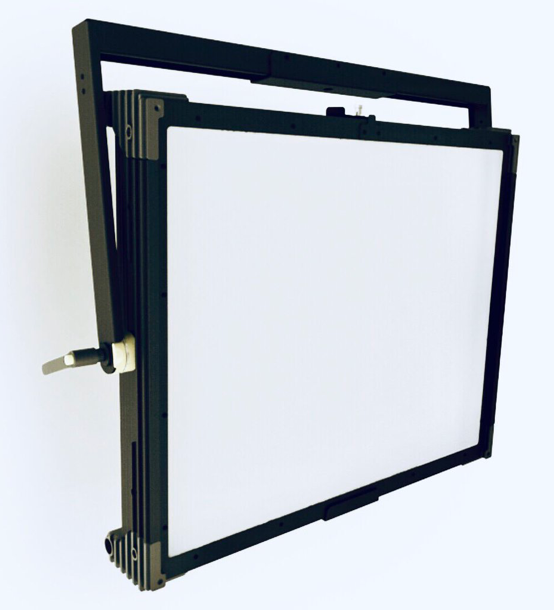 This Tunable Softlight square format quad LED panel is white light tunable in color temperatures from 2700k to 6600k and sports a reported 97 CRI. 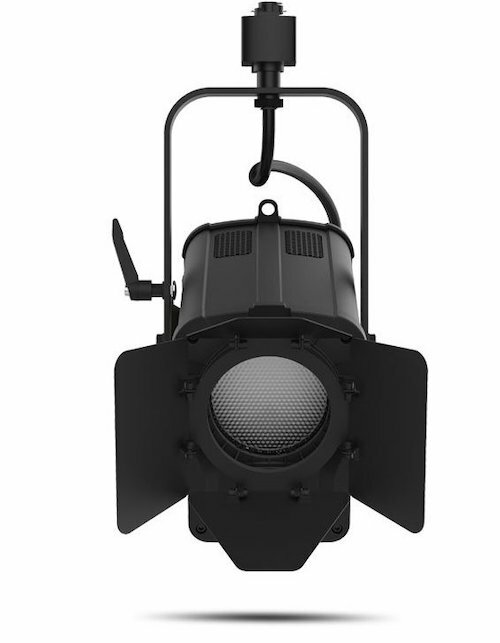 The lightweight 24.25 lb fixture packs a power punch at only 266w. Quad measures 21” high by 24” wide creating a very large and even source of light. 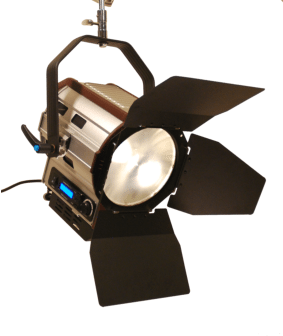 Quad is the largest light source in Flouotec's Cinelight line of fixtures complementing its 1x4 brother, the Cinelight 60 1x2, and the Cinelight 30 1x1. All can be controlled locally by the digital display or via industry standard DMX-512 control protocol. 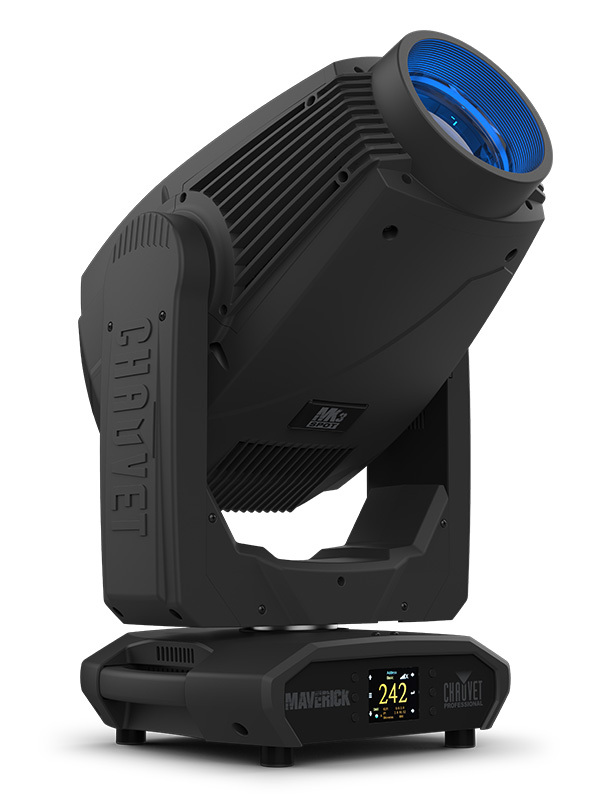 Hive showed the new BUMBLE BEE 25-C. At 2.5” long and weighing just 1lb, the BUMBLE BEE 25-C is Hive Lighting's most portable fixture. 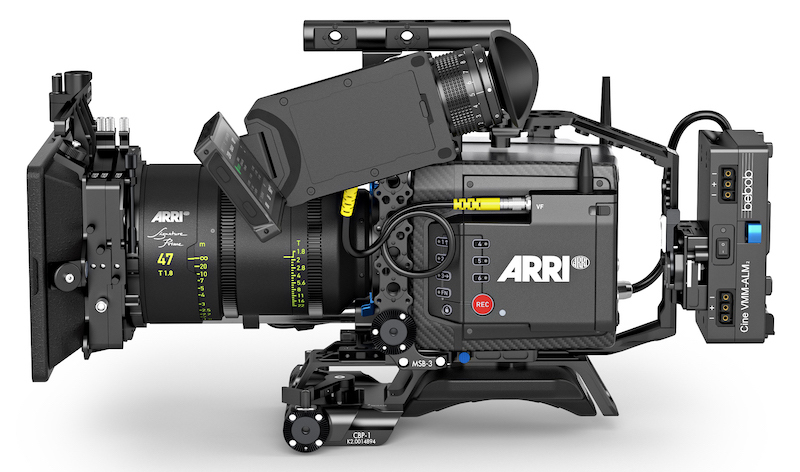 It has multiple mounting points to allow for easy rigging to cameras, drones, practicals, stages, and sets. Like all Hive LEDs, the BUMBLE BEE 25-C features Hive’s Perfect S.H.O.T. system and Omni-color LED technology, runs off a battery or universal wall power and is compatible with hundreds of accessories. The Hive Honey Mirror is a tunable LED light mirror that can reproduce any color in high fidelity. 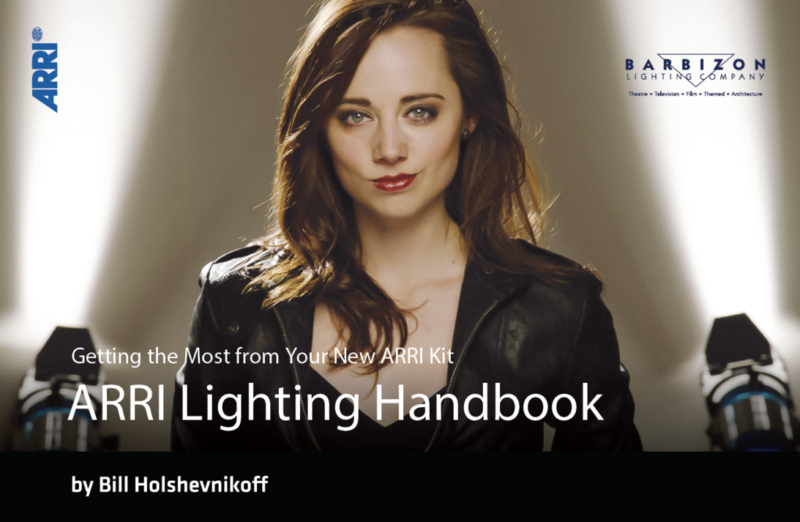 Easily tune color temperature using the manual knob, or use the Hive S.H.O.T App to recreate any saturated or white light environment. Full spectrum, and a wide gamut, the Honey Mirror is perfect for double-checking a look in any situation. Equally useful for completing a morning touch-up at home, or to perfecting FX make-up big-budget shoot. Multiple mounting options available including a road case mount option. You couldn’t stop by the Mole-Richardson booth and not notice their newest fixture, the 24” 20k LED was front and center. 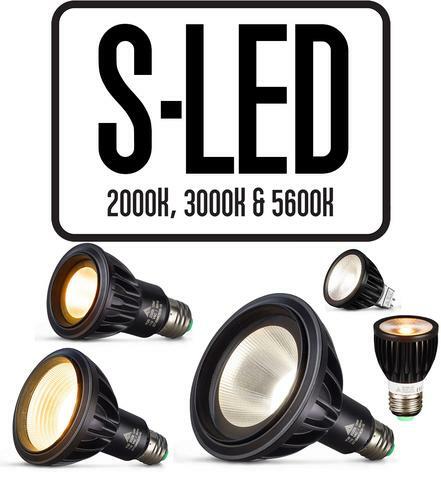 This 3000 Watt LED will be shipping soon and comes in either 3200 or 5600K with a 95+ CRI. Gone are the days of a separate power supply for this giant. Simply use the two included / detachable 20 ft. PowerCON TRUE1 to Edison cables with inline Toggle Switch. Control is possible either by DMX or LumenRadio. 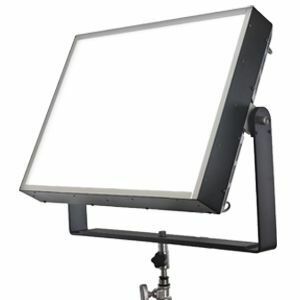 Mole-Richardson Co. also expanded their already impressive line of variable white fixtures this year with the addition of the Vari-Soft Panel LED. 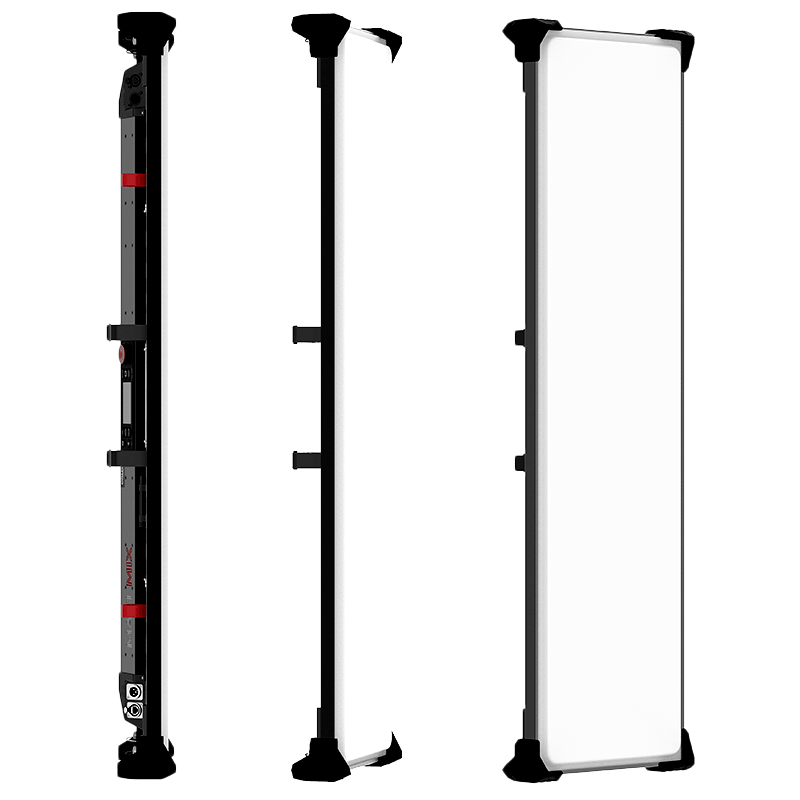 The Vari-Soft Panel is 400 Watts, has a CCT range of 2700 – 6500k with +/- green, and a 95+ CRI. When considering which panel light will be best for you, consider Mole-Richardson’s Vari-Soft Panel LED. The Varsa has taken a new shape, and it's round! 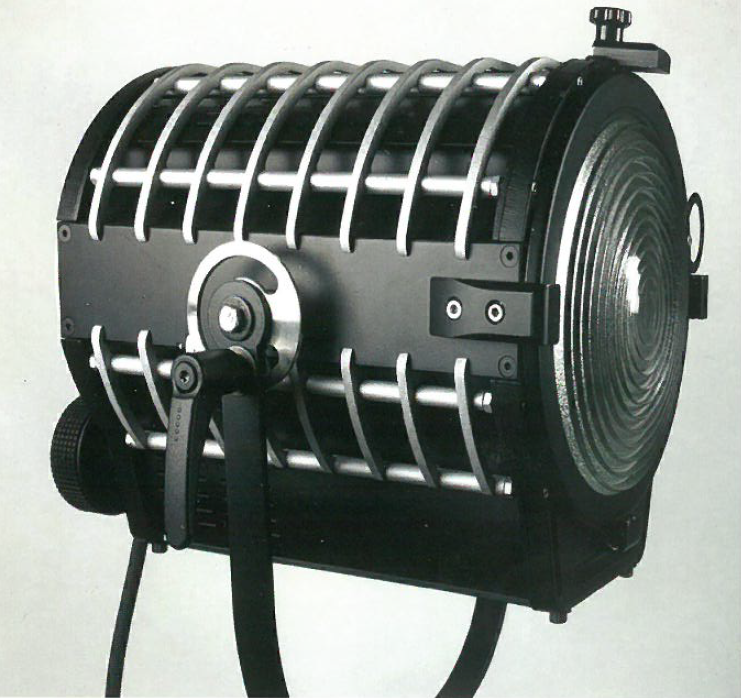 With an output comparable to that of a 400 watt HMI fixture, the Varsa 2 uses only 75 watts and weighs a meager 10 pounds. It's ready to go when you are with instant-on, AC/DC power options, and beautiful, flicker-free light. 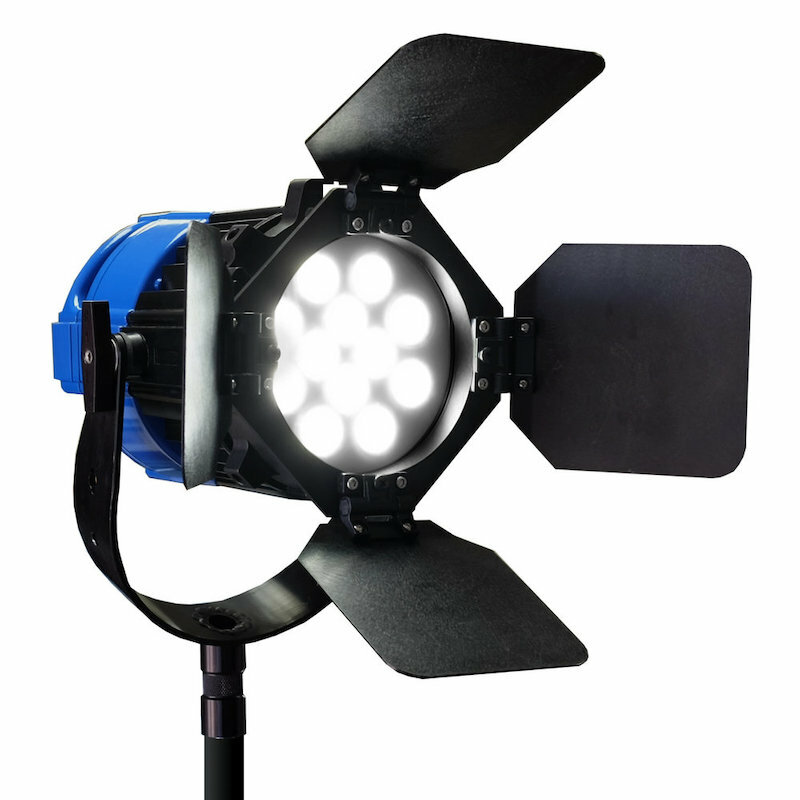 It’s also IP65 rated allowing you to use in any condition rain or shine. 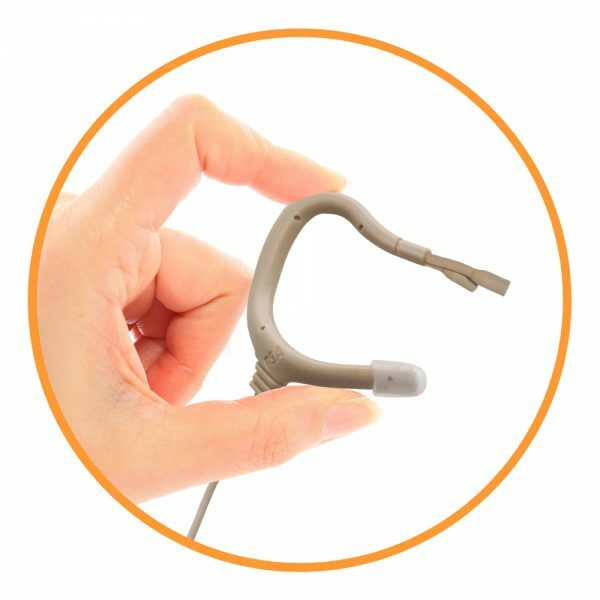 New features also include Nila Net control software upgrades and a limited lifetime warranty. This year was all about accessories. 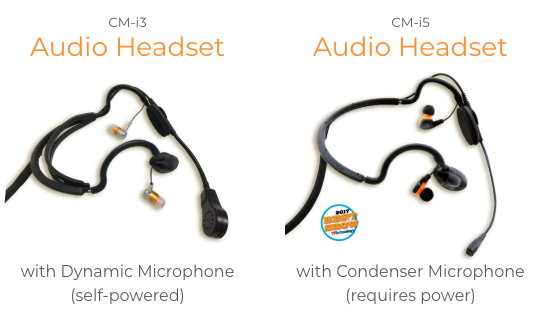 The Q-LED series has been expanded to include configurable cases, and more custom built harnesses for various battery and power supplies to make the already flexible line better. 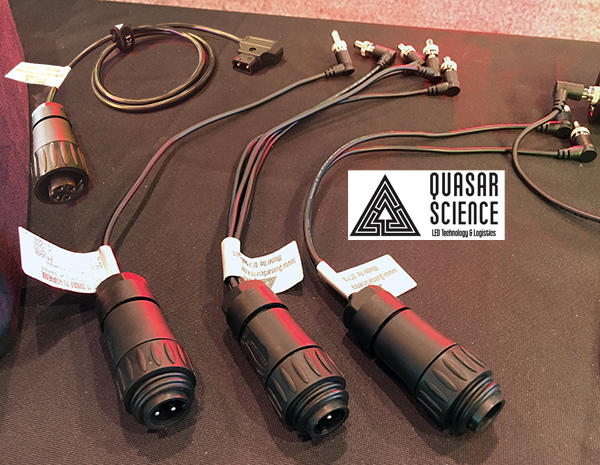 Quasar is also making a push on their S-LED Line Light Bulbs as a solution to both your personal and professional lighting needs. 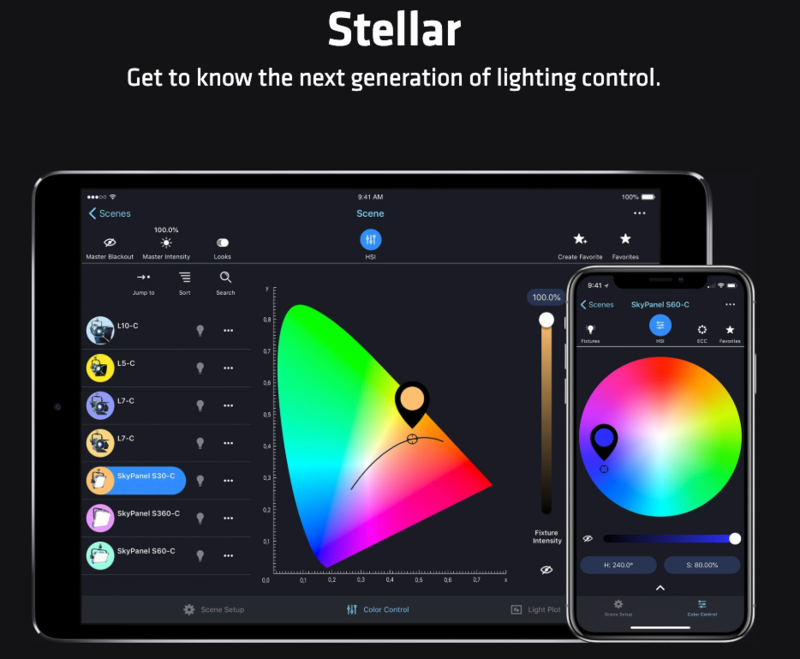 Quasar Science has developed the industry’s first line of motion picture ready LED Light Bulbs offering our beautiful color spectrum, as well as Flicker Free electronics combining all the advantages of consumer, LED Light Bulbs with Quasar's advanced color methodology, providing an environment that is as pleasurable as it is efficient. For use in the home, office, factory and on camera. 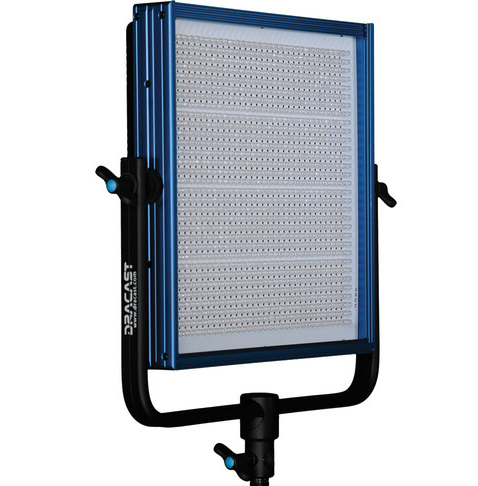 Ushio released its new 100w bicolor broadcast LED panel called the Zylight Go Panel and it features an IP65 rating for use in the rain and a +/- green adjustment. 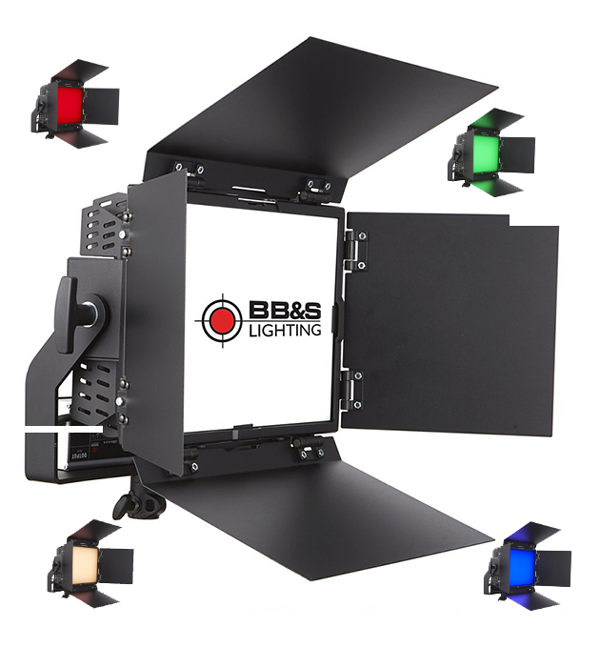 The color temperature ranges from 3100k to 6200k and has a built-in mechanically controlled diffuser to spread a narrow 26-degree native beam spread. 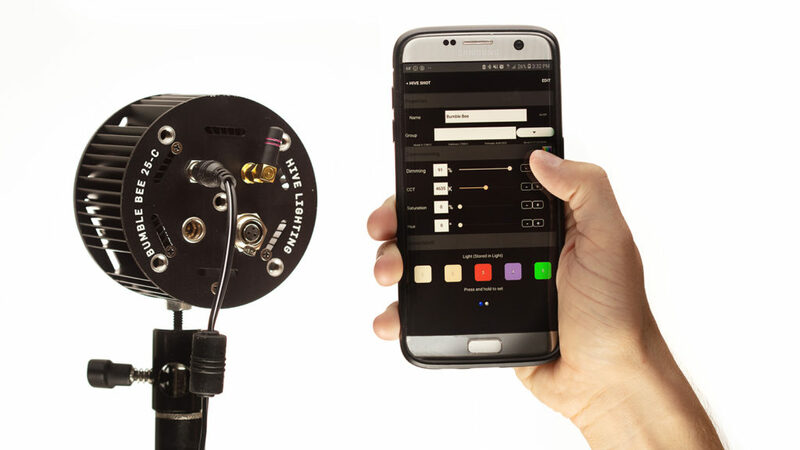 The fixture can be controlled locally, Zylink, Bluetooth, LumeRadio or with DMX via RJ45 in and out jack. No yoke needed for the Go Panel, instead of this all aluminum fixtures comes with a unique friction mount at the bottom. 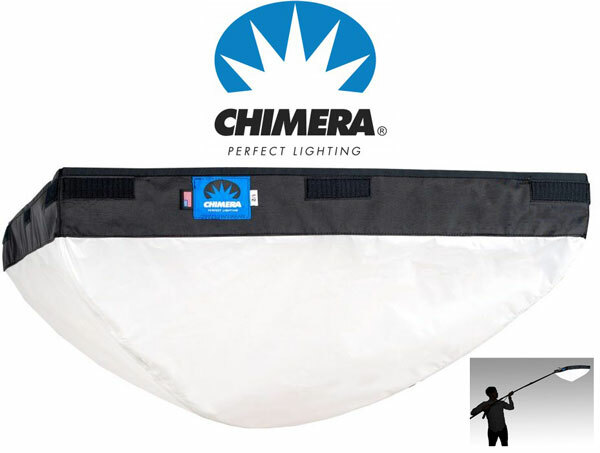 This fixture is made in the USA and comes with a 2 years factory warranty. 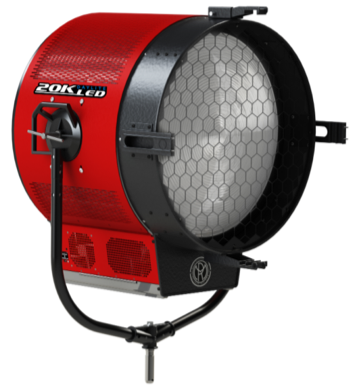 This new addition to the Zylight line will be delivering in August 2019. 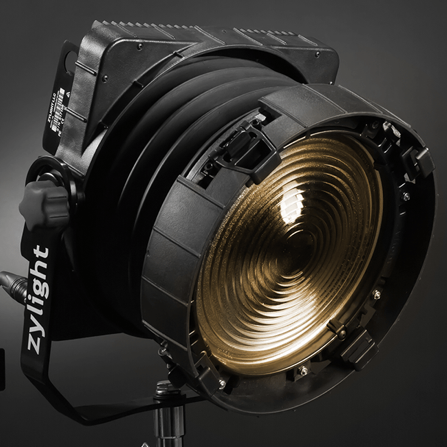 The Zylight F8-200 and F8-100 flat Fresnel is now available in bicolor ranging from 2800k to 6000k. 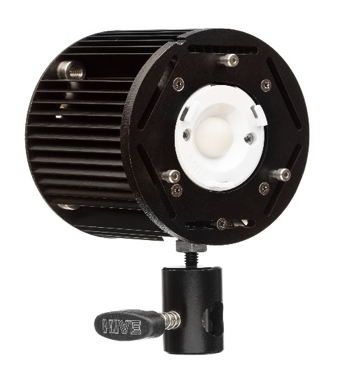 Ushio Zylight is now the exclusive distributer of LDDE in north America. 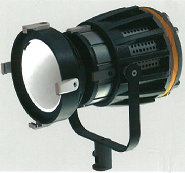 Manufactured in Austria, LDDE lighting instruments are known for high output and pinpoint control. LDDE’s diverse LED product line is used extensively for live theater throughout Europe, and its LED backlight solutions provide rear projection solutions for TV, film, and live events. 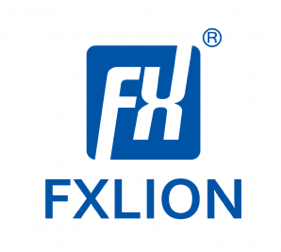 Ushio’s Zylight USA is now the exclusive distributor for FXLION professional Li-ion Battery Manufacturer. 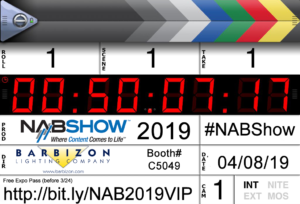 Since 1997, FXLion has been manufacturing lithium Ion battery technology for the broadcast industry. With its research and development teams, they are dedicated to delivering robust, rugged, high-quality portable power solutions. Known throughout Asia and Europe for producing a wide variety of quality power related products, FXLion is committed to delivering for the demanding needs of mobile production throughout the Americas. 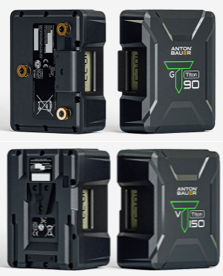 FXLion lithium-ion batteries chargers and high-power lithium packs are designed with advanced circuitry to safeguard against failures, manufactured with the highest quality sourced powe cells, and are ISO:2008 and CE certified. 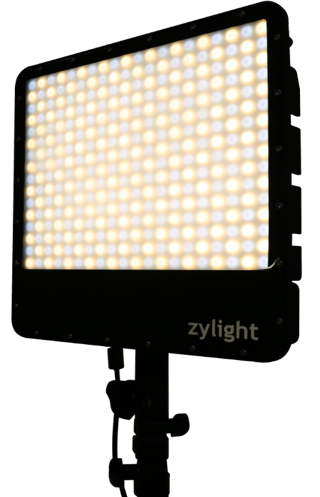 Ushio brings you the Zylight USA Rayzr MC (Multicolor) Series, advanced RGB, WW, CW LED Soft panels that give you the right light in any situation. 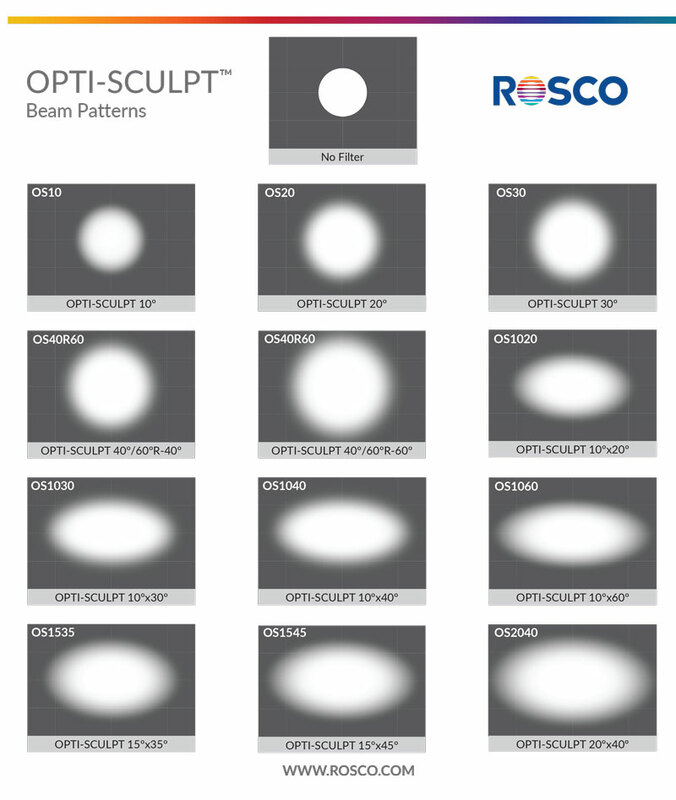 Source Matching enables you to mimic any light source for consistent results. The fixtures series is available in three-panel sizes, MC 100 16”x9”, MC 120 12”x12” and the MC 200 20”x14”. Each model features a +/- Green / Magenta adjustment and is completely fan-less for silent operation. 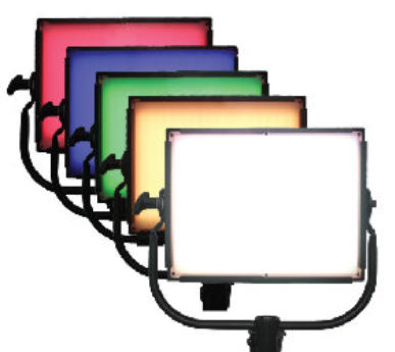 Each Rayzr MC panel is loaded with a fixture library of 300+ Gel Colors and special effects including Party, Candle, Club, Cop Car, Fire, Fireworks, Light Strobe, Lightning and Television. 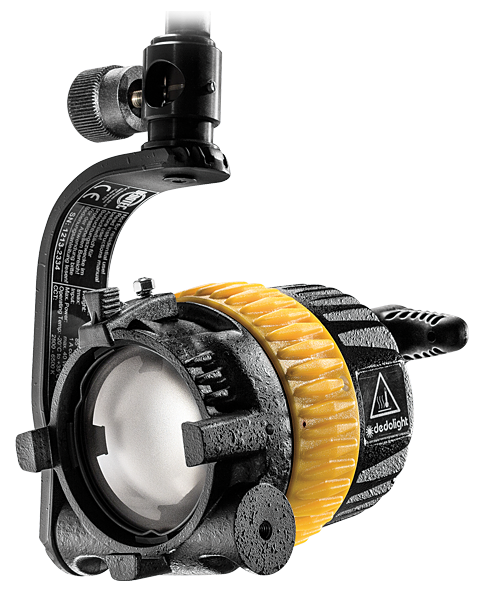 The base frequency of the MC series can be adjusted to provide flawless high-speed performance at any setting. 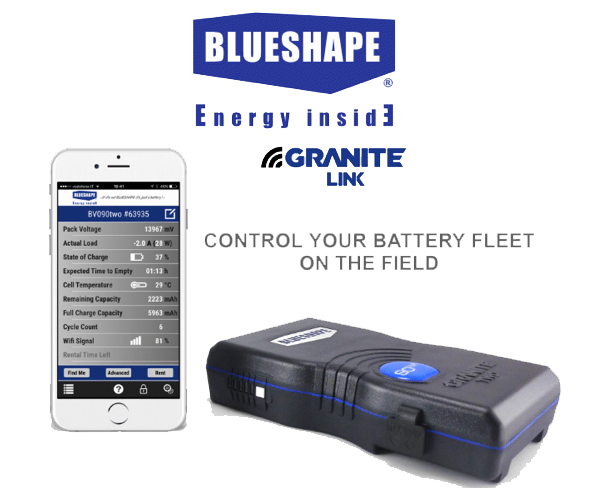 All models come with a battery plate and run with standard 14.4V V-Mount batteries. Gold Mount option coming soon. 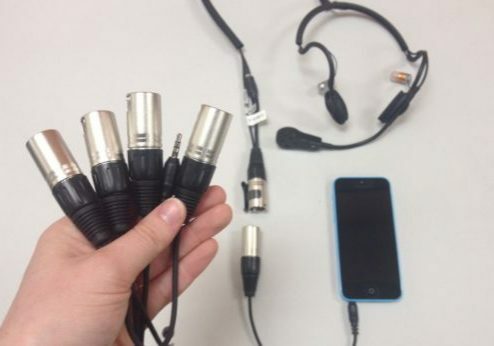 The fixture can be controlled locally, WiFi (via the WR1 wireless router) or DMX via an internal 3-Pin XLR in and out. 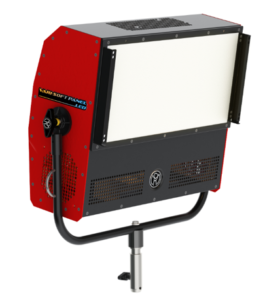 The Rayzr MC is a powerful, lightweight affordable s solution for any television studio. 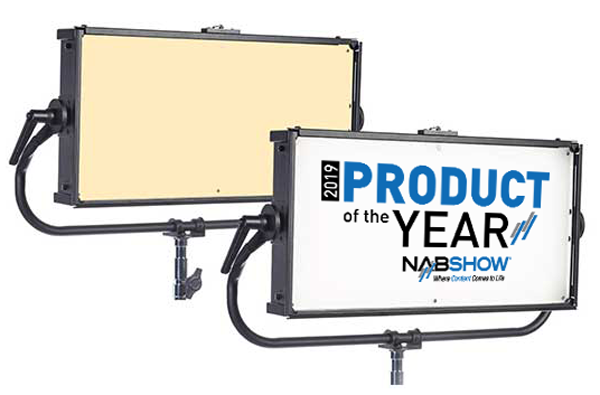 To top it off the Eayzr MC won the cinema5D Award for Best of Show and Product of the Year Award in the Lighting Category at the 2019 NAB Show. 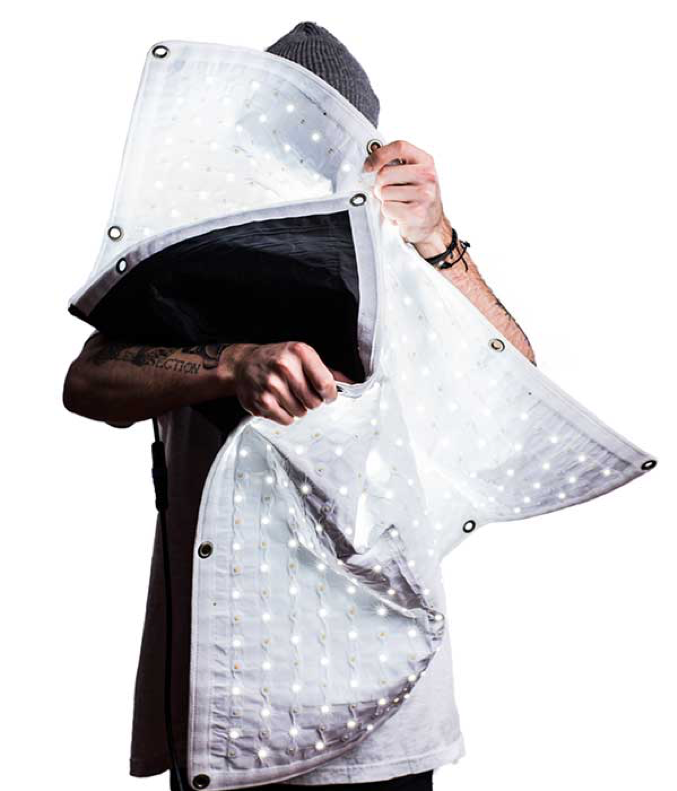 The Ushio Fabric-Lite is now available with a 350w model which delivers over 1 f-stop of additional lumen output. The original 200w model is still available and can run off a 12v to 30v batter but the new 350w model can be powered by a 48VDC or (2) 26v batteries.